Mary Brigham and Jonathan Prescott Jr declared their intentions of marriage on Sep 10, 1776 Lancaster, Worcester Co., MA, USA; Mary of Shrewsbury. Thomas Tucker and Betty Houghton declared their intentions of marriage on Jan 17, 1784 Lancaster, Worcester Co., MA, USA. Thomas Tucker married Betty Houghton in Mar 4, 1784 at Bolton, Worcester Co., MA, USA. Betty Houghton and Thomas Tucker declared their intentions of marriage on Jan 17, 1784 Lancaster, Worcester Co., MA, USA. Betty Houghton married Thomas Tucker in Mar 4, 1784 at Bolton, Worcester Co., MA, USA. Ruth Houghton and Jonathan Barrett declared their intentions of marriage on Sep 21, 1793 Lancaster, Worcester Co., MA, USA. Ruth Houghton married Jonathan Barrett in Dec 31, 1793 at Leominster, Worcester Co., MA, USA. Jonathan Barrett married Phebe Warner in 1781. Jonathan Barrett and Ruth Houghton declared their intentions of marriage on Sep 21, 1793 Lancaster, Worcester Co., MA, USA. Jonathan Barrett married Ruth Houghton, daughter of Ebenezer Houghton and Susannah Farnsworth, in Dec 31, 1793 at Leominster, Worcester Co., MA, USA. Nancy Houghton and James Robbins declared their intentions of marriage on May 23, 1799 Lancaster, Worcester Co., MA, USA. Nancy Houghton married James Robbins in Jun 13, 1799 at Lancaster, Worcester Co., MA, USA. James Robbins and Nancy Houghton declared their intentions of marriage on May 23, 1799 Lancaster, Worcester Co., MA, USA. James Robbins married Nancy Houghton in Jun 13, 1799 at Lancaster, Worcester Co., MA, USA. Dr. Jonathan Fiske and Prudence Houghton declared their intentions of marriage on Jan 24, 1801 Lancaster, Worcester Co., MA, USA. Dr. Jonathan Fiske married Prudence Houghton, daughter of Phinehas Houghton and Ruth Osgood, in Feb 22, 1801 at Lancaster, Worcester Co., MA, USA. Lucy May married Salmon Houghton, son of Nathaniel Houghton and Mary Richardson, in Mar 5, 1807 at Lancaster, Worcester Co., MA, USA. Abel Houghton Jr and Lucretia Phelps declared their intentions of marriage on Mar 19, 1813 Princeton, Worcester Co., MA, USA. Abel Houghton Jr and Lucretia Phelps declared their intentions of marriage on Mar 20, 1813 Lancaster, Worcester Co., MA, USA. Abel Houghton Jr married Lucretia Phelps in Apr 12, 1813 at Lancaster, Worcester Co., MA, USA. Lucretia Phelps and Abel Houghton Jr declared their intentions of marriage on Mar 19, 1813 Princeton, Worcester Co., MA, USA. Lucretia Phelps and Abel Houghton Jr declared their intentions of marriage on Mar 20, 1813 Lancaster, Worcester Co., MA, USA. Lucretia Phelps married Abel Houghton Jr, son of Abel Houghton and Rebecca Willard, in Apr 12, 1813 at Lancaster, Worcester Co., MA, USA. Eliza Houghton married Ezra Sawyer, son of Capt. Thomas Sawyer and Elizabeth Houghton, in Feb 7, 1821 at Lancaster, Worcester Co., MA, USA. Rebecca Harthran married Stephen Houghton, son of Nathaniel Houghton and Mary Richardson. Edmund Winchester Houghton married Sarah Williams Yeager in Jun 24, 1821 at Bibb Co., AL, USA. Death 1891 a. 83 y.
Miranda Perry and George Washington Houghton declared their intentions of marriage on Mar 9, 1827 Lancaster, Worcester Co., MA, USA. Miranda Perry married George Washington Houghton, son of Capt. 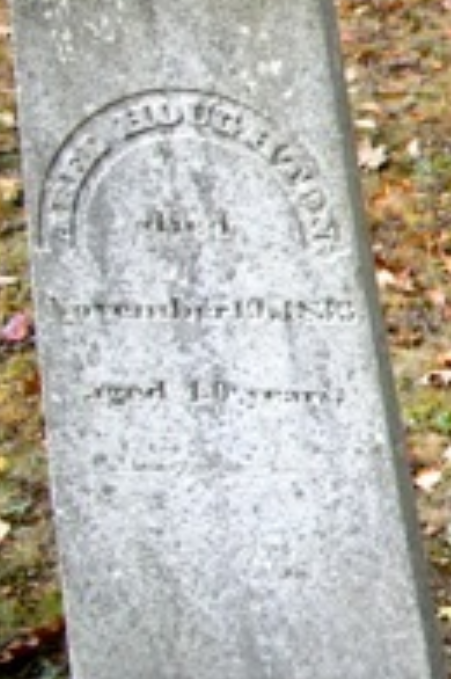 Benjamin Houghton Jr and Lydia Bennett, in Apr 3, 1827 at Lancaster, Worcester Co., MA, USA, First Church Records: 3 Apr 1827Lancaster VR: 3 Mar 1827; MLM: int. Mar. 9; m. Apr. 3, 1824. Abigail Meriam and Caleb Houghton declared their intentions of marriage on Jan 2, 1819 Lancaster, Worcester Co., MA, USA. Abigail Meriam married Caleb Houghton, son of Deacon Cyrus Houghton Jr and Experience Pike, in Jan 2, 1819 at Berlin, Worcester Co., MA, USA, MLM: Jan. 20; Weis: Jan. 19. Eunice Houghton and Sewall Tyler declared their intentions of marriage on Sep 30, 1820 Leominster, Worcester Co., MA, USA. Eunice Houghton married Sewall Tyler in Oct 22, 1820 at Lancaster, Worcester Co., MA, USA.